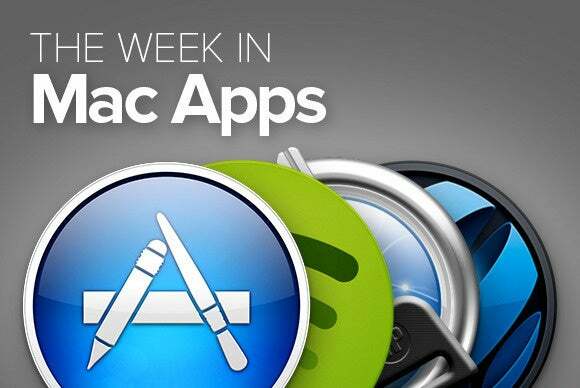 This week roundup of new Mac Apps helps you remember your appointments, keep your email private, improve your working habits, listen to iTunes the way your want, get to know your machine up close and personal, and much more. 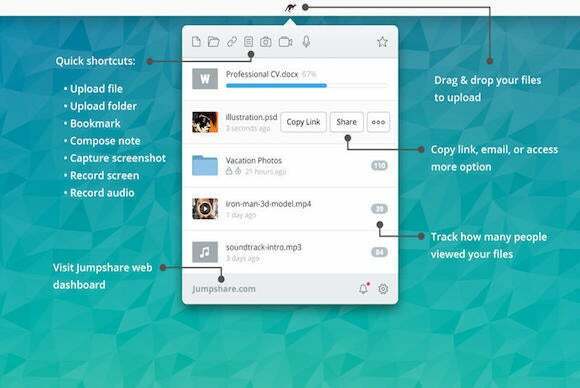 Jumpshare (Mac App Store link) gives you a sleek, easy-to-use interface to share your files with friends and colleagues. All you need to do is drop a dragged file on its menu icon; Jumpshare automatically uploads it to the cloud and copies a shareable link to it onto your pasteboard. In addition to files, the apps lets you compose and share notes, or take screenshots and screencasts that you can easily forward to your contacts via the app’s built-in email client. 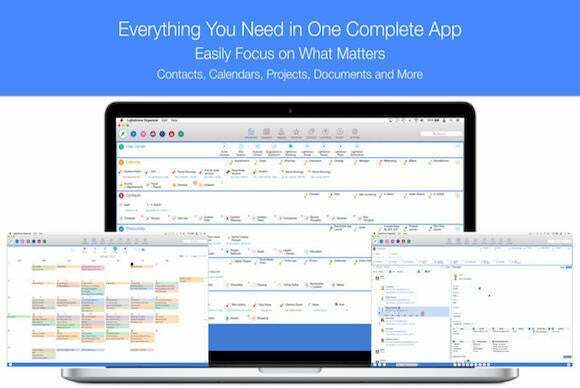 LightArrow’s LightArrow Organizer (Mac App Store link) gets you through your busy days by collecting all your calendars, projects, and documents in a single convenient location. With support for DropBox, Evernote, Twitter, and other popular online services, the app features a powerful daily agenda that gives you an at-a-glance of your schedule, and includes a comprehensive dashboard that can be customized to show the information that’s most relevant to you. 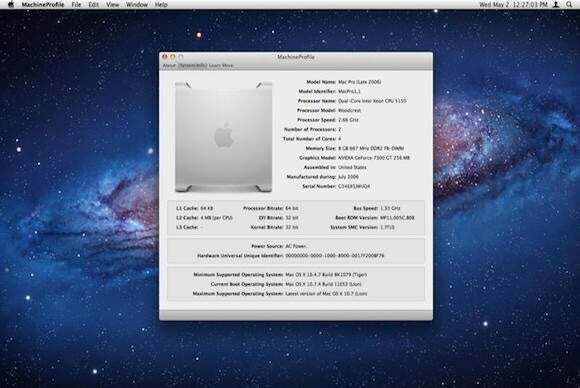 Micromat’s MachineProfile (Mac App Store link) displays all relevant information about your Mac in a neatly organized window. The app displays details like the model name, processor, firmware, graphics card model, active boot drive, and much more. MachineProfile can also collect all this data into a shareable PDF or plain-text file—an especially handy tool if you need to contact customer support for a technical issue. Worried your emails may end up in the wrong hands? Roman Priebe’s Mynigma (Mac App Store link) lets you send an encrypted version of your messages to make sure only the intended recipient can read them. 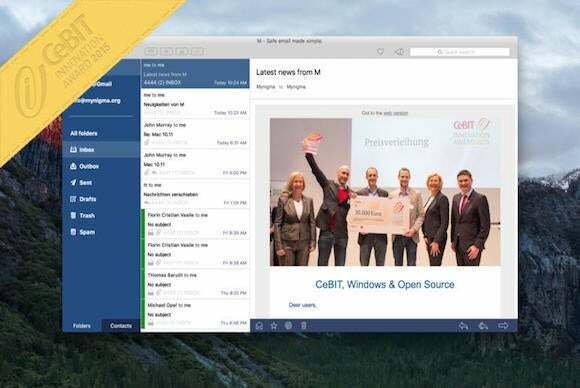 The app is an email client that supports your existing IMAP and STMP accounts, and works in the background using a secure algorithm to automatically encrypt the contents of your messages and attachments before they leave your Mac. 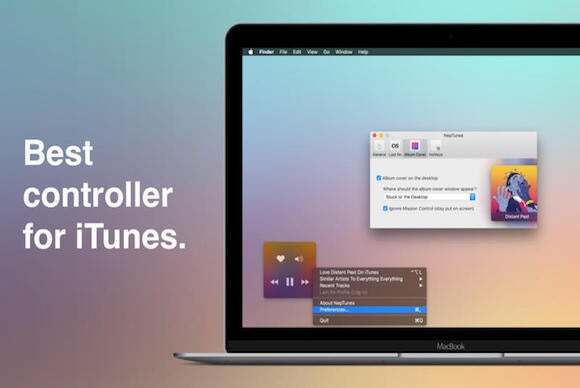 Adam Rozynski’s $4 NepTunes (Mac App Store link) lets you integrate iTunes with your last.fm account, augmenting the former with all kinds of cool functionality and extra content. The app works alongside Apple Music, sports an offline mode to play your songs even when the Internet is not available and keeps a recent history log to access the last fifteen tracks played. 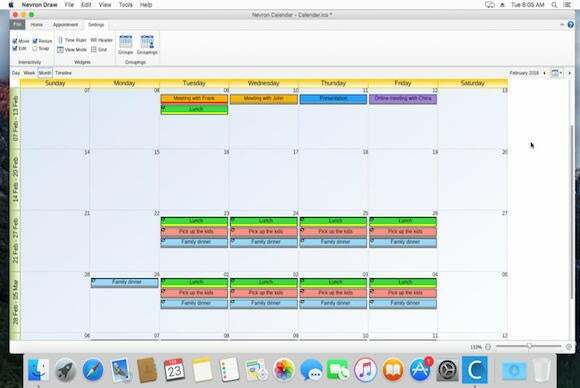 Nevron Software’s $20 Nevron Calendar (Mac App Store link) lets you keep all your appointments and tasks in a dedicated calendar that can be customized to suit your needs. With Nevron Calendar, you can group reminders according to arbitrary criteria, set up recurring events, and use different color options to quickly highlight important items. 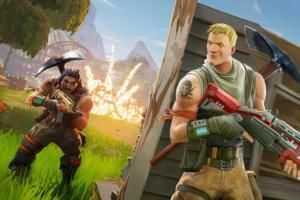 The app comes with built-in support iCal, Google Calendar, and Microsoft Outlook, and is compatible with most common calendar formats. Codegestalt’s $5 Posture Coach (Mac App Store link) helps you manage the stress of a long workday by reminding you to take periodic breaks to stretch and relax your muscles. 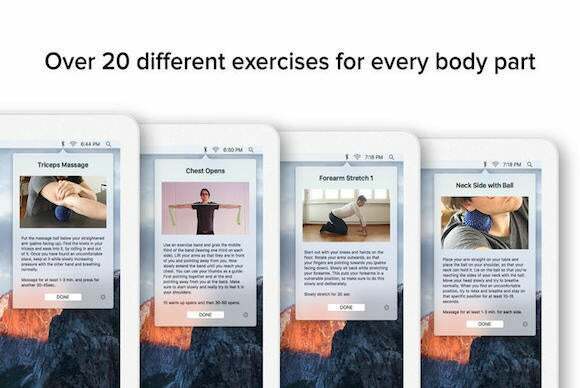 The app features twenty exercises designed to engage different parts of your body, and comes with a scheduling tool that can be set up to match your work habits to cause minimal disruption. 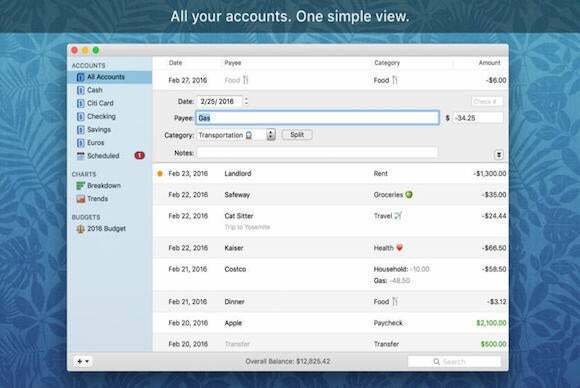 Yi Lin Productions’ $15 Savings (Mac App Store link) helps you track all your revenues and expenses with a powerful but easy-to-use interface. With Savings, you can set up bill reminders to avoid missing payments, automatically reconcile your records with your bank statements, and creates budgets with realistic goals that reflect your current financial outlook. 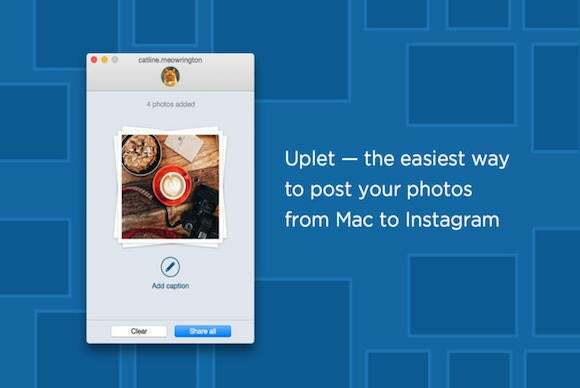 Eltima Software’s $10 Uplet (Mac App Store link) lets you upload entire batches of photos to your Instagram account with a few clicks of your mouse. Before posting your pictures, Uplet allows you to crop, resize, or rotate them, and even add captions with emojis for a more personal touch.